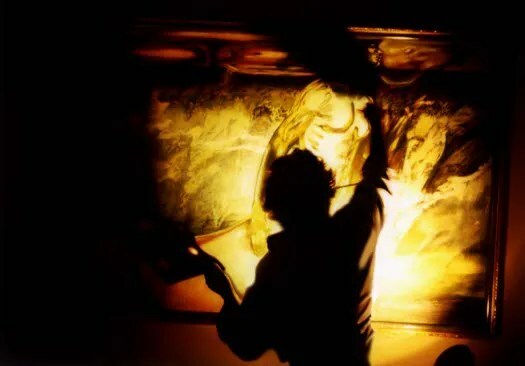 As I write you today, I am heading to the Greenbelt Museum with the work of Master Artist and my Teacher and Mother of my heart, Sue, to bring her painting, Raising the Bart to be a part of the show for Lenore. If you have followed my work you know that our dear Sue passed into the cosmos in September 2014. Less than a year later, I have the privilege of making a journey to her home state, Maryland to bring precious things: 1. Sue’s painting 2. Carving tools held by Lenore’s hands 3. Letters from Lenore to Sue. I feel so blessed to be a part of a lineage of creating, and of a specific approach to creation we have come to call Intentional Creativity, but it is taken directly from the voice of Lenore Thomas Straus. Here is an excerpt from one of her books, Stone Dust. I was reading this to Sue when she passed onto her next form. One day I had asked her to tell me, what she would say to Lenore if given a chance to speak to her in the spirit realm. She said” I want her to know I am doing my work”. Now I want to say to both Sue and Lenore: We are doing our work, dear woman artists, brave, strong, fearless creators, we are doing our work, which you have given into our hands”. 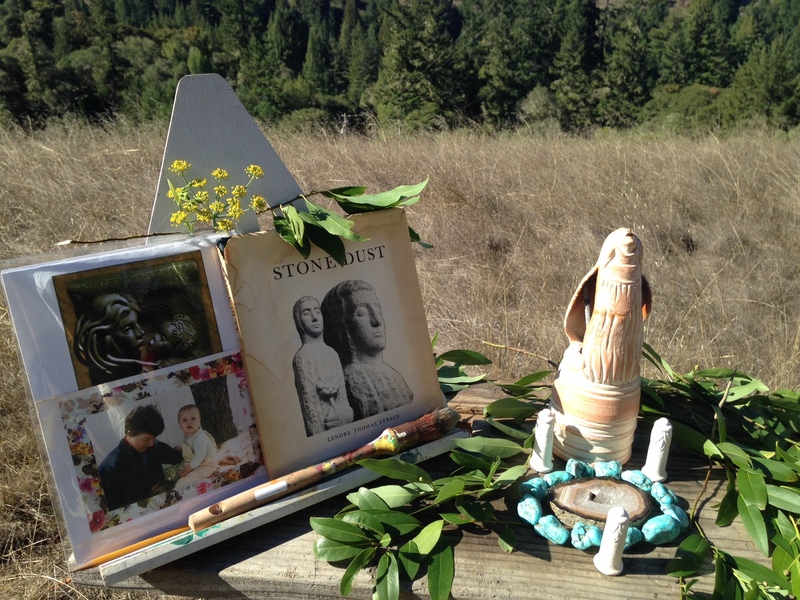 Here is an image of the altar for Sue, on the day she was cremated, with Lenore’s book, Stone Dust. 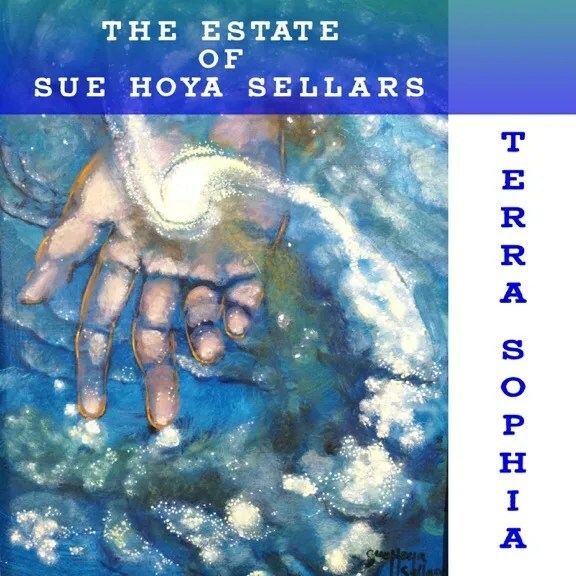 When Sue Hoya Sellars was a young woman, she knew she wanted to be an artist. Through opportunity and determination, she searched out an artist she had heard about in a neighboring town who worked on strange large sculpture larger than life. This woman, Lenore Thomas Straus, became Sue’s mentor, teacher, and eventually her guardian. It was Lenore who taught Sue, and Sue who taught me, and I eventually began to share what I learned with a community of women artists. 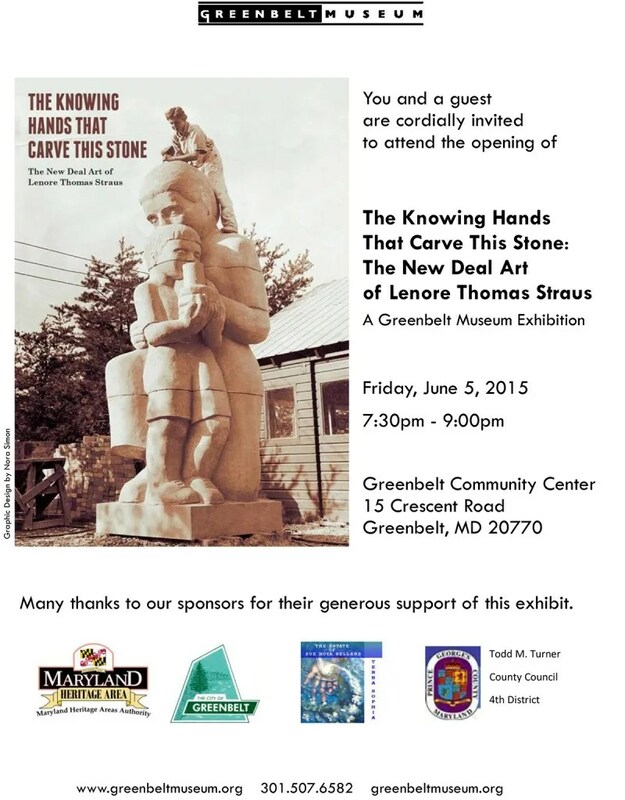 This Friday is the opening reception for The Knowing Hands That Carve This Stone: The New Deal Art of Lenore Thomas Straus, which opens to the public on Saturday, June 6, 2015 in the Museum’s gallery in the Greenbelt Community Center. Lenore Thomas Straus was a young woman, only in her twenties, when she carved several landmark works in Greenbelt, Maryland for the Resettlement Administration in the late 1930s. 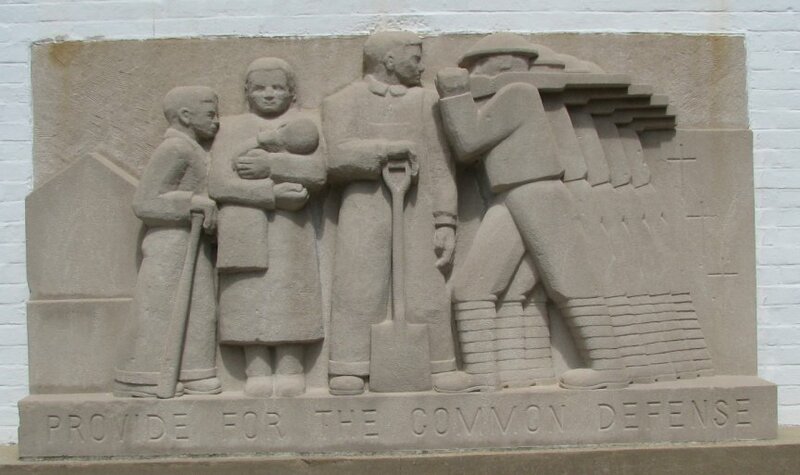 These sculptures include the seminal pieces “Mother & Child” (c.1939), which is the centerpiece of Greenbelt’s Roosevelt Center, a series of bas reliefs (c.1936-1937) depicting the Preamble to the U. S. Constitution, which were carved in place on the front of the Community Center (formerly Center School), and the Woman sculpture, on the grounds of the building. In addition to these works, Straus carved pieces for other New Deal era housing projects including a large scale frog for the playground of Langston Terrace, an apartment complex in D.C. and the Sewing Woman, a stone sculpture for the Jersey Homesteads in New Jersey. We will be there at the opening at the Greenbelt Museum – to share in the joy of this experience – honoring the lineage of teachers. I tremble with awe and fear at this meeting of both state of her birth, and museum of my teachers and have very few poetic words to share. Only humbling thoughts of wonder, missing, and gratitude. And of course I wanted you to know, my community, about this event and I imagine I will have more to say. For the time being I feel floating in a cloud of some kind – not one I am familiar with, deeply connected but not at the same time. Something coming through here that I have no language for. I am deeply grateful to my husband, Jonathan, who in this process has done more to make this happen than I could even list, including finding the tools themselves which have been missing for many years in one of Sue’s old toolboxes in the cabin. He is by my side. And to my community of Cosmic Cowgirls, Color of Woman and the Red Threaded ones, thank you….I know you know. 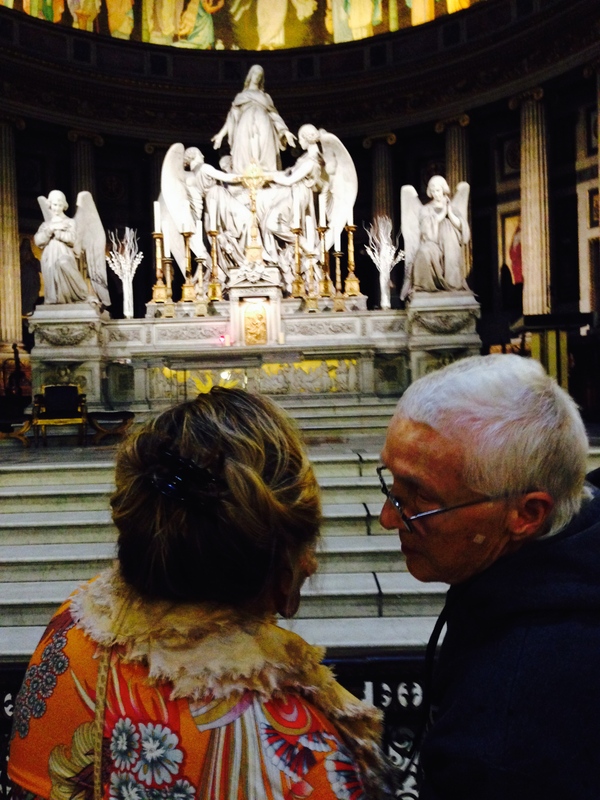 Whispering messages of art to me when we were in Paris in August.